As centre president, Wayne has overall responsibility for the operations of the centre, relationships with stakeholders and management of officials. 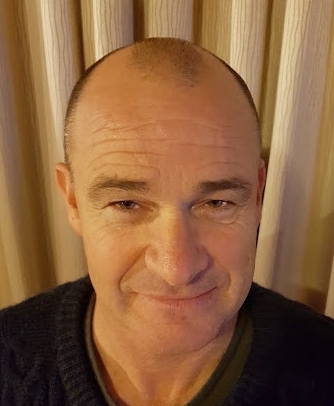 Wayne is the father of two keen athletes at the centre and has been involved in the club in some capacity for over 7 years. Allison is responsible for managing and minuting our meetings, and dealing with correspondence. As Vice-President, Allison has a key role in supporting the President. Allison is also a parent of four keen athletes at the centre. Anthony manages the club finances and also assists with the program on Saturday mornings. Anthony is the father of three keen athletes at the centre. Lianna is the deputy to Aaron, and also has overall responsibility for results and trophies. Lianna is the mother of four little athletes and was a former state champion when she was a little athlete. Johanna has one of the toughest jobs in the club - making sure that families meet their roster obligations. Johanna only has one athlete competing at the centre, disproving the rumour that you need a large family to be part of the committee. Jennifer is a recent former athlete at the centre, who along with her sister Christine is one of our all important starters at the centre. Jason is the father of two keen athletes, and is responsible for the timing gates and other ICT requirements. Mike is the longest serving member of the committee, having had 10 years on the committee in various roles, including four years as president. Mike looks after the website, and assists the ICT manager as required. Mike has had his two children involved in the club for many years. Peter is the father of three keen athletes and has been officiating with our Saturday competitions for several years. Michelle is the mother of one keen athlete, and responsible for looking after Keilor athletes and families at regional and state athletics competitions. Sinead is responsible for buying and reselling our centre uniforms. Sinead is the mother of two keen athletes, and an U5 who cannot wait to join the centre as well. Mark is the father of one keen athlete, and has been officiating with our Saturday competitions. Our most recent annual report, and a few before that, are shown below.